If you already have an approved Trooper costume, simply sign up in this thread. Any other questions should be sent to the RAID Detachment Commanding Officer (not me). Since others are posting about new detachments, I'll go ahead and announce this one. The Rebel Alliance Infantry Detachment (RAID) is in the process of being formed within the Legion. The charter has been submitted and a logo is in the works. This Detachment will only include the troopers, not the command staff (General Dodonna, General Rieken, Luke/Leia/Han command outfits). Currently we have two Divisions within the Detachment: the Rebel Fleet Trooper (RFT) and the Endor Rebel Soldier (ERS). 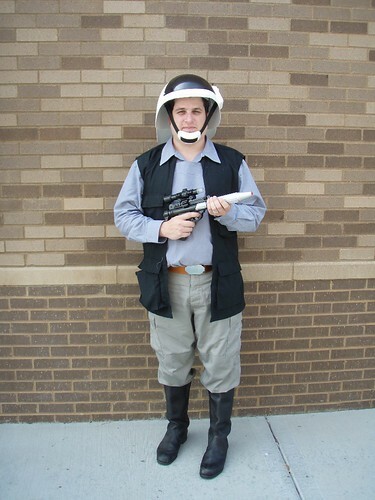 As the Hoth project takes off, I anticipate adding a Hoth Rebel Soldier (HRS) Division. At the base level, each base can form a Squad/Fire Team with a minimum of 3 formal costumes of the same type (RFT, ERS). Informally, we currently have a few Squads within the Legion. Sunrider Base's Alpha Squad (RFT) and 1138th Special Forces (ERS) and Midwest Base Delta Squad. Now we just need Mountain Base and Ra Kura to come up with names for their groups. Actually, Echo Base has Fire Team Echo too. I think there's another one out there too... Elstree maybe? And like Donna said, we're just waiting on the logo from Jon and we'll be ready to go. Also, this is an OT trooper detachment, so if people want to start signing up in the same way that people have been in the Jedi and Royalty forums, we can do that here. We need 20 to officially claim the detachment. Pffft. Between Alpha and Delta Squads, we have 20 right now. Sorry, I forgot about Fire Team Echo. Post your RFTs or ERSs here and we can start a full roster for the Legion. French Base had her Detachement of RFT too ! And all of them are active. Everyone still needs to post here regardless, please. I'd like to sign up as well. I can post a picture later. You don't have to post a picture if you're already in the database. 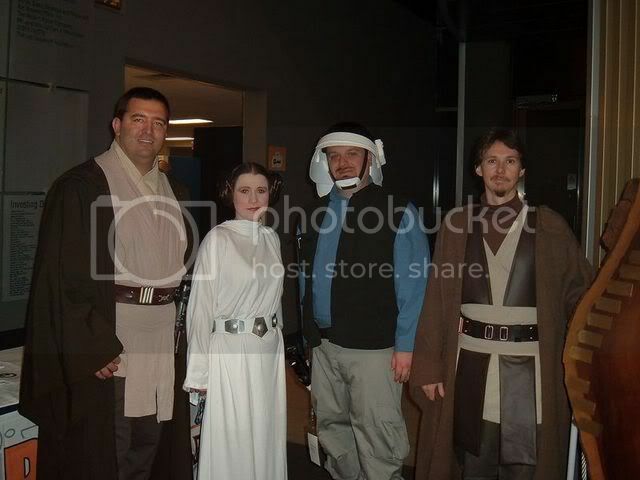 We just need to hear from those who have formal RFT or Endor outfits. and wampameat (Robert R. Carmichael). I'm in or reporting for duty. And we have a group project ongoing for ERS's, with a mountain twist: the 10th Mountain division. IIRC, there are roughly 10 people doing this, but the project goes slowly. Delta Squad Illinois RFT here......................Generic Bob reporting for duty !